For me, it started off as a small patch of dry skin which quickly became two patches. These patches then grew bigger, and I mistook them for eczema. Being pregnant, I simply thought that my face was just playing up. It happens. However, these patches weren’t getting any better. I began to use a mild hydrocortisone cream on them which made it fade and at this point I didn’t think much more of it - until it came back again. I applied more cream until it cleared up once more. It just seemed to be a really persistent patch of dry skin! At this stage though it still didn’t seem like a big deal, but then it started to spread further. Now it wasn’t just dry skin anymore, it was tiny spots appearing around one side of my mouth and underneath my nose. They weren’t like regular spots either, they were really small and close together, but they were also really dry. I continued to use the hydrocortisone, but it didn’t seem to be working as well anymore. Knowing that you shouldn’t use a steroid cream for an extended amount of time, I decided to stop. That was when it seemed to break loose on my face. The rash suddenly began spreading, becoming worse after applying and removing my makeup. What didn’t seem too bad before makeup application was looking severely aggravated at the end of the day after removal. The spots were spreading all around my mouth and it began to make me feel really confused. What the heck was going on!? This is when I began my research and stumbled across the condition called perioral dermatitis. It was unmistakeable; it looked exactly like what was on my own face. As I wasn't initially planning on writing a blog post about it, I didn't take any photos. However, this photo from AOCD seems to best represent how it looked at it's worst, but primarily just on one side. The other side was more mild. As you can see, it (thankfully) wasn't too severe. I have to make this clear at this point that I am not the type of person who self-diagnoses. If I think that I may have something that I have come across after looking up symptoms then I tend to go to the doctor and talk it out. Annoyingly though, this time of year is really difficult to get a doctors appointment due to it being the cold and flu season. Along with this, a lot of people online discussing perioral dermatitis have a lot of complaints about the lack of knowledge from doctors on this rash or capability to prescribe the right things to cure it. A lot of people are constantly prescribed things that make it worse, or things that can’t be taken during pregnancy. Therefore, I decided to try a couple of natural ways to clear it up on my own and if they didn’t work, then I would try to get the appointment. *I would like to start by mentioning that obviously, I am not a doctor. I have provided a bunch of links to sources of information at the end of the post, but just to clarify again - I am not a medical professional. Thankfully, there were a lot of suggestions online of ways to help cure this thing up with things you can find at home, so I’m going to discuss what I tried and what finally started to work for me. Sadly, the first method of treating this rash quickly is one that not many women will like. Myself included. You need to avoid makeup and skincare products. Face washing has to be done with warm water - not hot - and nothing else. Also avoid products that contain SLS. At a push, if this doesn’t start to help you, also cut out fluoride toothpaste (I didn’t need to go this far, but a lot of people do this straight away). Being a beauty blogger, this has made blogging a bit difficult. That along with my pregnancy sickness kicking in again has caused some delays between posts and I would like to take this moment to apologise for that. Otherwise, it is something that just had to be done. The next step on my way to curing perioral dermatitis was to try baby calendula cream. Thankfully, I had some of this to hand. I used the Weleda Baby Calendula Face Cream on the rash for two days, and my first thought was that it was super soothing on the parts that were the most irritated. It brought down the severe inflammation and helped to ‘cool’ it, but other than that, it wasn’t shifting at all. Whilst two days may not be very long, in this time I had read up on it some more and discovered something that people seemed to be having far more success with - zinc oxide cream. Again, thankfully, I had some of this to hand in the form of Sudocrem. I began applying Sudocrem to my rash twice a day, washing it off with water before applying it again. Amazingly, I started to notice a difference. The rash was decreasing, but it was also getting very dry and almost as if it was peeling. This was when I added the use of apple cider vinegar as a toner. A lot of people begin this treatment straight away too, and I recommend that if you are looking for a way to clear it up then this is a good start. To use, you need to dilute the ACV in water (I did a 50/50 mix), apply to cotton wool and dab on the rash and leave to dry. A lot of people state that this burns, but I luckily never had this issue. Maybe it is down to the severity of the perioral dermatitis or the strength of the vinegar, but it is something to keep in mind. However, even if it burns, people have still reported some great results with it. Another downside to ACV is that it smells. Personally I don’t notice the smell after application, but others may find the smell to be more off-putting. After applying the ACV and waiting for it to dry, I have been continuing to apply the Sudocrem, and after a week or so my rash had nearly cleared up completely. Therefore, I highly recommend the use of ACV and Sudocrem to clear up perioral dermatitis. Since originally posting this, I have tried out another selection of treatments that I wanted to provide feedback on. After listening to my complaints about the rash on my face, my boyfriend went out to try and find me something that could help. He found Movis by Lush. Since using this face wash (which is SLS free) my perioral dermatitis has been getting even better, especially when followed by the above treatments. Dry patches have been given the moisture that they are lacking and redness is heavily reduced. The skin also feels really cleansed but without any aggravation or irritation thanks to the gentleness of the product. On the Lush website, there are reviews of Movis where other people who have had dermatitis have been praising the product also. It seems to be a great help to not just me but to others also and I thank this product (and my boyfriend for discovering it!) for helping me quite significantly. However, even though I am not an expert in this field (and will never claim to be), I am aware that yeast can be a potential trigger for perioral dermatitis. If you are sure or are concerned that this may be the issue, then I find it necessary to point out that Movis includes wholemeal bread. Whether this will create issues is unknown to me, but I thought that it should be mentioned. Alongside wholemeal bread, Movis also includes Fair Trade cocoa butter, extra virgin coconut oil, hop oil and wheatgerm oil. 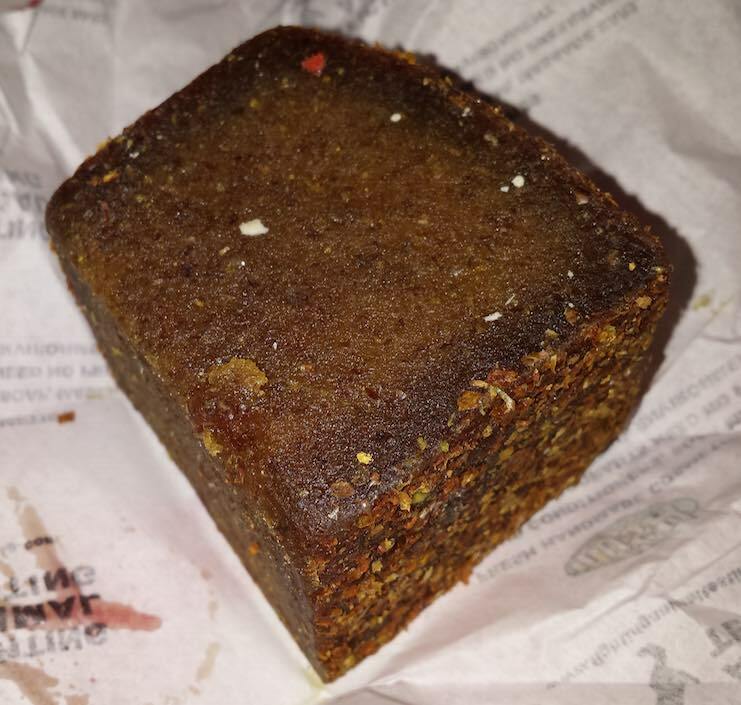 I have written a more extensive review of Lush's Movis on the blog, so I recommend checking that out if this is of interest to you. Whilst I have owned some rosehip oil for a while, I hadn't thought about trying it on perioral dermatitis. After I received a sample of Trilogy's Certified Organic Rosehip Oil in my December Birchbox though, I decided to give it a try. Rosehip Oil has worked brilliantly at reducing the dryness caused by the rash and also the redness. It also helps immensely with the discomfort that can occur alongside the dryness. This is something that I really recommend if you're suffering with perioral dermatitis. 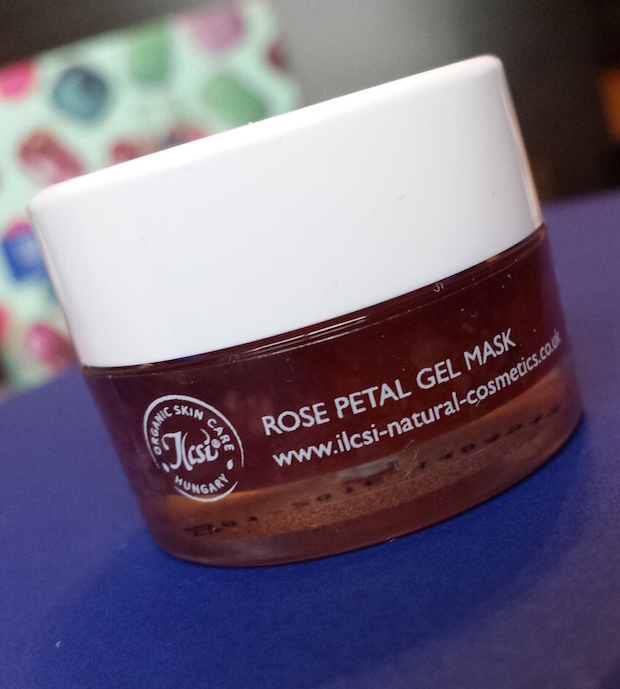 Another product that arrived in my December Birchbox is the Ilcsi Rose Petal Gel Mask. The mask contains rose oil and rose petals and is designed to help with an entire array of issues, but most importantly for this topic it is regenerating, softening and smoothing. Whilst at first I was a little hesitant to try this mask on my skin whilst battling perioral dermatitis, I found it to be a great help. The rash was far less red and dry and was more comfortable after use. I use it as a 10-15 minute face mask with a medium-thick layer each week, but it can also be used with a thin layer on the face over night. I haven't tested the second method out yet, but I can say that the first method works great! If you are looking at cutting out SLS products, I have some reviews for different natural products on the blog already. I also have a few posts for DIY beauty that you may be interested in. Sudocrem can be purchased at a variety of places, but you can purchase it from £2.99 from Boots. 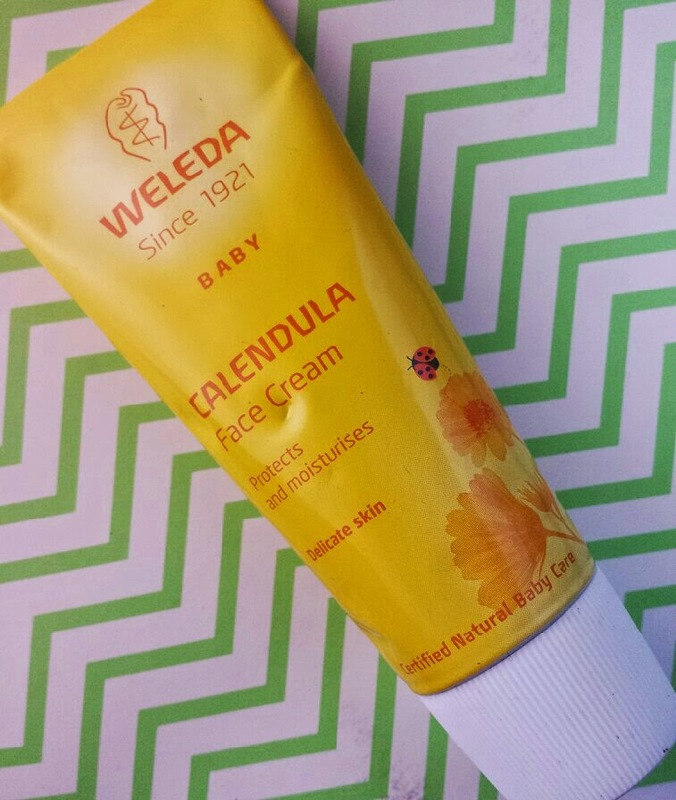 Weleda Baby Calendula Face Cream can also be purchased from Boots for £7.95. 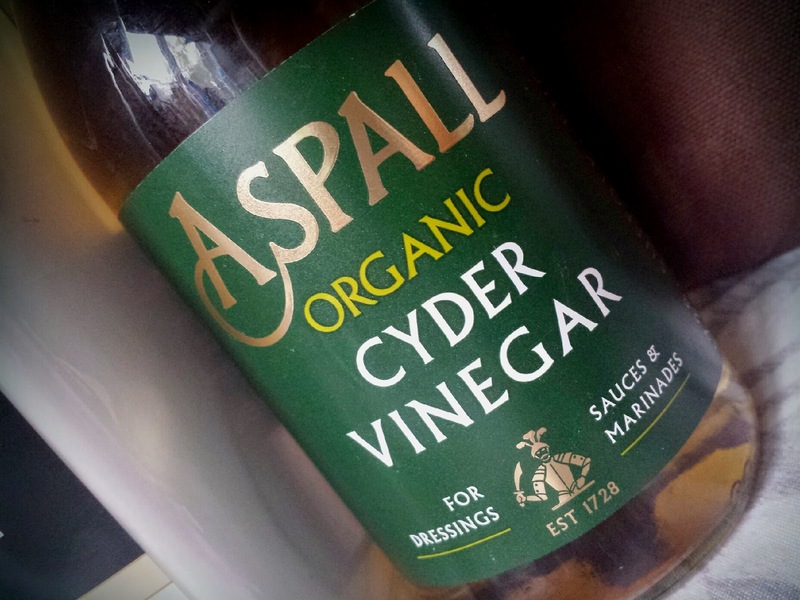 Apple Cider Vinegar can be purchased from most food stores. Movis by Lush can be purchased at Lush for £4.50 for 100g. Prices will vary depending on how much you purchase. 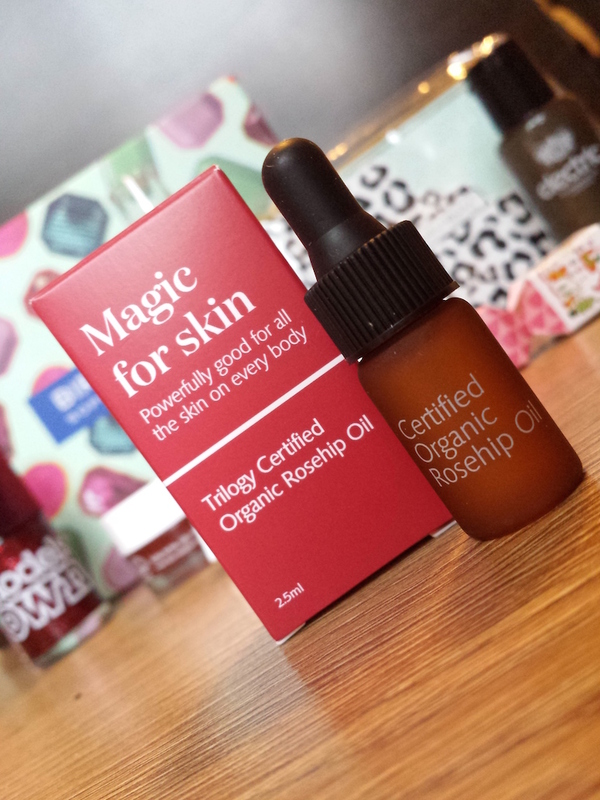 Trilogy Certified Organic Rosehip Oil can be purchased at Birchbox for £16.50. Ilcsi Rose Petal Gel Mask can be purchased at Birchbox for £39.95. 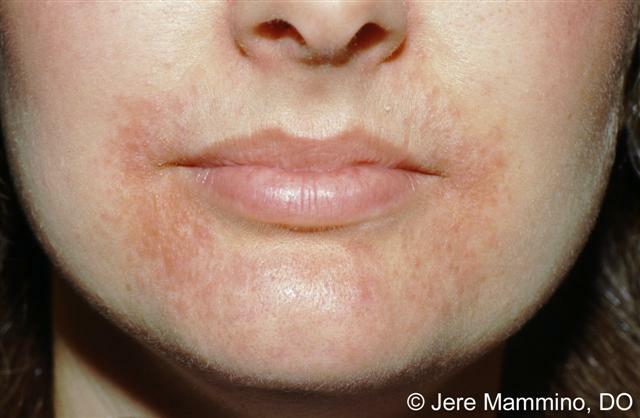 Have you ever suffered with perioral dermatitis? What methods have you tried to clear it up and did they work? I actually discovered your site look looking for help with mine. I want to thank you! On the one hand, reading about your extensive long term experience with the conditio is pretty dishearting. I guess I just hoped I would find a site saying "Oh yeah, just put a little lavender on it and it should clear up in a day or two!" but it doesn't sound as if there any quick fixes to perioral dermatitis. Bummer. On the other hand, this is a great page about it because you list so many treatment possibilities with real life experience! Thank you so much! Thanks to you, I feel like I actually have a few treatment plans, so thank you so much for sharing something which may be out of the ordinary for your makeup and beauty blog! You are more than welcome! I can only hope that some of these methods work for you as well! My favourite way is definitely the use of Lush's Movis with Sudocrem, I personally felt that they worked the best. Mine has all cleared up now, but I did have one small outbreak again a while back which cleared up within a week with Movis and Sudocrem, so I was really pleased with that. Hi! I'm so sorry to hear that you've been suffering with it for so long. :( It's really not a nice thing to have to deal with! I tended to moisturise the non-affected areas and avoid the places where I had a rash, and I only used natural moisturisers. I used the Neal's Yard Remedies Palmarosa Moisturiser(which I reviewed here on the blog, you can see it here). The main thing that worked for me though was definitely Lush's Movis face wash. That stuff was a total miracle cure and it works for so many other things too. I used that, the ACV once a day and the sudocrem on the top until it cleared up. I hope that all of that helps you out like it did for me, but if it doesn't then don't give up trying out different things! At first I had to switch up my treatment every few days because what was working suddenly became less effective, but then the next one worked until that went the same way. Changing it up kept things moving until I discovered the one thing that actually worked. I'm so glad I found this blog, I'm currently sat with a mask of sudacrem on with the hopes it makes my dermatitis better. I have suffered this about many months now. I think it's because I have hormonal spiral-birth control. For me the doctor sayid I can use this hydrocortisoli also. It did clear up at first but came back, and now its worse.. anyway if I go back to my homeland about three weeks from now, ill take it out. Hope to see some results! California Baby Calendula Cream is my go-to for perioral dermatitis treatment. It's not cheap but for me, it's worth every penny. If I feel an outbreak coming on I apply the cream under my makeup and before I go to bed. No more bumps or scaly skin! I avoid Sodium Lauryl Sulfate and supplement with zinc and b vitamins, too. Sometimes I wipe some diluted apple cider vinegar with the mother on my face for good measure. My heart goes out to anyone suffering with this condition. I hardly left my house for months before I found a treatment that works. Weleda skin food has really helped with mine. I initially tried to purchase the California Baby Calendula Cream but couldn't get it anywhere. Instead I bought Mama Nature's Proskin Eczema and it worked like a charm. It has the calendula in it and although my PD got slightly redder, within a couple of days it started to disappear until it was gone completely within a week or so. I'm so glad that you are advocating the use of natural products in your blog.